Since 2008-2009, the Institute has decided on a new theme for each academic year. This theme is then explored and fleshed out in a series of three events: The Kent Mathews Lectureship in the fall, the Rally for the Common Good in the winter and the Salt & Light Seminar in the spring. The year concludes with the publishing of a monograph on the theme of the year. To view what has been done previously, please see the drop down links below. The inaugural year of the Institute, 2008-2009, focused on the "Christian Concern for Our Common Life," which is a slight modification of the title of a lecture Dr. Grounds gave at Harvard in 1981. We feel that since the Institute was established in his honor, it was very appropriate to launch it with a challenge that he never tired of issuing to the evangelical community, namely, the necessity of intertwining evangelical theology with a robust and full-orbed ethical witness in the public square. The launch also included the presentation of a reprinted version of Vernon Grounds' Evangelicalism and Social Responsibility. A booklet written by Dr. Grounds nearly 40 years ago. You may download a free .pdf version of the booklet here: Evangelicalism and Social Responsibility. Dr. Darrell Bock: Engaging Culture Theologically: What Makes the Under-30s So Different...? On Monday, October 6 and Tuesday October 7, 2008 the Vernon Grounds Institute hosted Dr. Ron Sider and Dr. Darrell Bock. Both spoke on the topic of Christianity and the Common Good. The audio of their lectures is available below. The Salt & Light Seminar is designed for collective learning for mutual empowerment and maximum social impact. The 2008- 2009 seminar centered around the question, "How can faith prompt politics to great faithfulness?" The seminar consisted of five dynamic lectures and interactive sessions. Lecturers spoke on topics such as biblical perspectives on faith and politics, important historical perspectives, developing a theology of political engagement, and surveying the practical issues which often confront Christians in the political realm. Speakers included Dr. Danny Carroll R., Dr. Scott Wenig, Dr. Sung Wook Chung, Dr. Dieumème Noelliste, and Attorney Michael Norton. In 2009, the Vernon Grounds Institute of Public Ethics teamed up with Denver Seminary's African American Initiatives (now Urban Initiatives) program to host the Rally for the Common Good. Events were held February 22 and 23. Dr. Gerry O. Gallimore, Ambassador-at-Large for Youth for Christ International, was the keynote speaker. This dialog between Dan Breed (alumnus, MDiv '06) and Craig Blomberg (Distinguished Professor of New Testament) on October 23, 2008, explored what these two thinking Christians have in common and what separates them in their support of Senators McCain and Obama for the presidency. Please Note: Denver Seminary does not take a political position and remains non-partisan when it comes to political issues. The Vernon Grounds Institute hosted Dr. Robert Cutillo and Dr. Gary VanderArk. Both spoke on a wide variety of topics related to the complex issue of justice and healthcare. Dr. Gary VanderArk: Healthcare and Justice: Are You Breaking Any Yokes? The Salt & Light Seminar engaged the idea of Justice and Healthcare through a time of inspirational worship, several presentations, and interactive sessions. The main lecture covered the topic of Caring for Wounded Healers, touching on the importance of instilling hope in broken places, considering Haiti in particular. Denver Seminary's own Dr. Danny Caroll R. is a national expert and spokes person on issues of immigration. The Vernon Grounds Initiative invited him to speak to the community for the Kent Mathews Lectureship in October, 2010. Noel Castellanos was the guest speaker for the 2011 Rally for the Common Good events on February 21 and February 22, 2011. Noel Castellanos is a minister, author, and founder of the CCDA Institute, which equips church leaders in the philosophy of Christian Community Development. A panel discussion with area leaders closed the Rally events. In order to help students engage in the various, holistic aspects of immigration issues, the Seminary partnered with four different ministries/agencies in the Denver-Metro: The Denver Rescue Mission, North Littleton Promise, Tha Myx International, and Sweet Dream in a Bag. Students working at these sites helped served lunch, played various games with children, and organized Easter egg hunts. They also provided activities for the adults, such as helping sew a family quilt and other crafts. At Sweet Dream in a Bag students participated in a "Pack & Pray" event where they folded and packed each of the beautiful bedding bags for the children and pray for each of the children who will receive the bedding. In 2011, Dr. Matthew Sleeth from Blessed Earth spoke at Denver Seminary Chapel on Monday October 3rd and Tuesday October 4th. Both Lectures are available below. Dr. Matthew Sleeth: Will the Church Help Solve the Biggest Problem in the World? Dr. Matthew Sleeth: Why Was Moses Given Nine Commandments? The Rally for the Common Good hosted events in 2011 on February 20 and 21. Our guest speaker was Rev. Howard R. Brown who offered a keynote address on February 20. The event on February 21 featured a panel discussion which addressed various creation care questions. Rev. Howard R. Brown: The Environmentalist's Dilemma: Plants or People, Souls or Salamanders - What Does God Want? This year, participants were given the opportunity to serve in their community, actively engaging creation in a variety of work sites. Students and others had the chance to serve at the Coalition for the Upper South Platte, with Expedition Ministries through Water Stone Community Church, and finally with Feeding Many Agency. The Rally for the Common Good held two events over the course of February and March in 2013. The first occured on February 25-26, during chapel on campus at Denver Seminary. The director of Compassion International, Naomi Cramer Overton spoke during the time on Monday, offering insight into the many complex issues facing children in poverty. This was followed by a panel discussion on Tuesday, in which participants and attendees were able to engage questions of poverty and its impact on children in deeper way. The second event of the Rally for the Common Good took place on March 17, 2013 at Restoration Christian Fellowship. Lillian Gitau was the guest speaker for the evening. Gitau is a Child Protection Technical Advisor for Compassion International and offered a wealth of expertise and challenges for attendees to consider. In addition to Gitau's talk there was a combined children's choir from local churches, a steppers group, and a mime group. In May and June of 2013, the Salt & Light Seminar took a team to Haiti where they worked with Compassion International Haiti. Over a two day seminar, led by Dr. Theresa McGee, they trained 160 individuals who work with children that have been victims of traumatic experiences. The team was also able to visit with individuals and families, to pray with them, share the gospel, and encourage them. In 2013, Dr. Scott Rae, professor and chair of Philosophy and Ethics at Biola University, spoke at Denver Seminary Chapel on Monday, September 30 and Tuesday, October 1 for the annual Kent Mathews Lectureship. In 2013-2014 Rally for the Common Good hosted two events on the issue of promoting economic discipleship for the flourishing of all human beings. Both events took place during Common Ground Chapel, the first featuring Dr. Charlie Self speaking on what economic discipleship looks like. The second event offered a panel of Dr. Self joined by seminary faculty and businessmen who offered thoughts on the who, why, and how questions of economic discipleship. Dr. Charlie Self: What Is Economic Discipleship? In May of 2014, the Salt & Light Seminar hosted Dr. Amy L. Sherman and a panel of seminary faculty for a morning of lectures and discussion. The purpose was to challenge students and the community to consider "How can Christian faith prompt me to greater faithfulness in the area of economic discipleship?" In particular, the seminar challenged participants to wrestle with the "nitty-gritty" of a stewardship of life, endowments, vocations, and material resources with the view to furthering God's plan and enhancing the flourishing of others. It was a pleasure to host Dr. Amy Sherman as the keynote speaker for the event. Dr. Rick Hess and Dr. Wilma Bailey discussed capital punishment from biblical and theological viewpoints and presented arguments for and against respectively. Dr. Wilma Bailey: Arguments against Capital Punishment from a Biblical and Theological Perspective. On Sunday February 22, 2015, Rev. Dr. Jim Ryan spoke at Rising Star Missionary Baptist Church on the "Moral Implications of the Practice of Capital Punishment." On the following Monday and Tuesday Rev. Dr. Ryan continued the discussion on the Denver Seminary campus during two special chapel sessions. The Moral Implications of the Practice of Capital Punishment. This year's Salt & Light event was held on Saturday, April 25, 2015 and featured Dr. Doug Groothuis, Dr. Jim Ryan, Ms. Jennifer Kraska, and Honorable Raymond Dean Jones, who presented views on capital punishment from philosophical, ethical, pastoral, and legal perspectives for and against respectively. The discussion also included respondent speakers challenging the viewpoints presented. Dr. Carl F. Ellis, Jr. presented at this year's Kent Mathews Lectureship. He spoke on race relations for two days during chapel. Dr. Ellis' talks were followed by "Lunch and Learn" events during which this topic was explored further. Dr. Carl Ellis will present "Race - Will We Ever Get It Right?" 12:00 pm - 1:00 pm Brown Bag Lunch and Discussion with Dr. Ellis, representatives from Denver Seminary, and individuals from the local African American Community. Dr. Carl Ellis will present "Bridging the National Divide"
This year the final two events for the Vernon Grounds Institute were held in conjunction. The Salt & Light Seminar, often a panel of several guest speakers, took place in the morning. The Rally for the Common Good followed in the evening with an open lecture. This year's keynote speaker was Dr. Crawford Loritts. Dr. Loritts is a prominent African American pastor based in Atlanta, Georgia. He is also a popular speaker and a veteran evangelist having served many years with Campus Crusade for Christ. The events were held on Thursday, April 14, 2016 on the Denver Seminary Campus. Topic: "Unity and the Heart of God"
Dr. Richard J. Mouw, PhD spoke at this year's Kent Mathews Lectureship. He is Professor Emeritus and Professor of Faith and Public Life at Fuller Seminary and has written and spoken widely on the topic of Christianity, politics, and public life. The lecture was followed by a "Lunch and Learn" discussion event during which these topics were explored in further detail. Audio of Tuesday's events is not available. On Monday evening, October 3, 2016, Dr. Richard J. Mouw PhD, spoke at this year's Rally for the Common Good. He is Professor Emeritus and Professor of Faith and Public Life at Fuller Seminary and has written and spoken widely on the topic of Christianity, politics, and public life. Audio of Monday evening lecture, "Christian Citizenship in Confused and Confusing Times," is available here. This year’s program is a 2-day event featuring lecture speakers Dr. Knut Heim, Professor of Old Testament, Denver Seminary and Leith Anderson, President, National Association of Evangelicals. The Kent Mathews presentation will be made during the Seminary’s chapel service on October 2-3, 2017, starting at 11:00 a.m. Each lecture will be followed by a "Lunch and Learn" discussion event during which these topics will be explored in further detail. Dr. Knut Heim: "Reading the Bible from a Peripheral Vision and Emotional Intelligence in the Current Geo-Political Context"
Dr. Leith Anderson: "Agent of the Gospel—From the Middle to the Margins"
Dr. Leith Anderson: "Christian Faith in Polarized Politics"
On Monday evening, April 9, 2018, Dr. Rev. 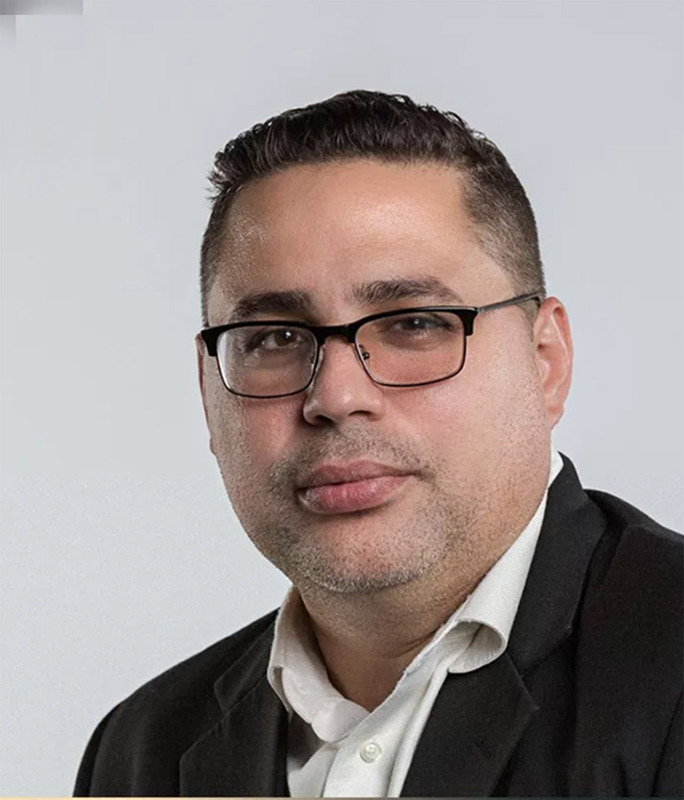 Gabriel Salguero, President of the National Latino Evangelical Coalition and Pastor at Calvario City Church in Orlando, Florida, spoke at this year's Rally for the Common Good. The topic was "Engaging the Present Climate: Martin Luther King, Benedict, or William Wilberforce?" Rev. Gabriel Salguero and his wife, Rev. Jeanette Salguero, are the co-lead pastors of the multicultural Lamb’s Church of the Nazarene in New York City. Much of their work focuses on racial reconciliation Rev. Gabriel Salguero is the founder of the National Latino Evangelical Coalition (NaLEC) which offers an important leadership voice for the close to 8 million Latino evangelical in our country. The Salgueros have ministered extensively in Europe, Latin America, and Africa. Their life’s work is bringing an ethical framework to public policy and empowering mature leadership. Rev. Salguero has worked on issues of leadership development, evangelicals and public policy, as well as racial reconciliation. In addition, he has written extensively on ethics and race, multicultural ministry, immigration, and spirituality and public work. He previously served on the Equal Employment Opportunity Commission in NJ. Salguero has also served as an adviser to the White House on issues of immigration and health-care and the faith community. Rev. Salguero is a board member of the National Association of Evangelicals (NAE). He previously served as the Director of the Institute of Faith and Public Life and Hispanic Leadership Programs at Princeton Theological Seminary. Salguero is a graduate of Rutgers University with a BA in History and Spanish. A member of Phi Alpha Theta History Honor Society. He also has an MDiv from New Brunswick Theological Seminary and did PhD work in Christian Social Ethics at Union Theological Seminary in New York. Salguero also received a Doctor in Divinity (honoris causa) from Eastern Nazarene College in Massachusetts.